FHA Loan Limits restored to $475,000 in Kitsap County. This December HUD confirmed that the 2012 FHA Mortgage Limits have been restored to the higher temporary loan limits effective November 18, 2011 through December 31, 2012. On October 1st, the loan limits had rolled back to regular numbers, which for Kitsap County meant a drastic drop from $475,000 to $307,000. 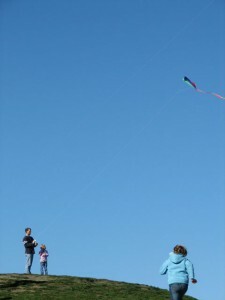 This is great news for buyers wishing to purchase a home in 2012 without putting down 10 or 20%. The minimum down payment for an FHA loan is 3.5%. Prior to this re-increase in loan limits, the threshold was $307,000 for a loan. A huge difference for Bainbridge Island, where the average sales price of a home is $575,000. The $307,000 loan limit made purchasing a home with an FHA Loan very challenging to say the least. 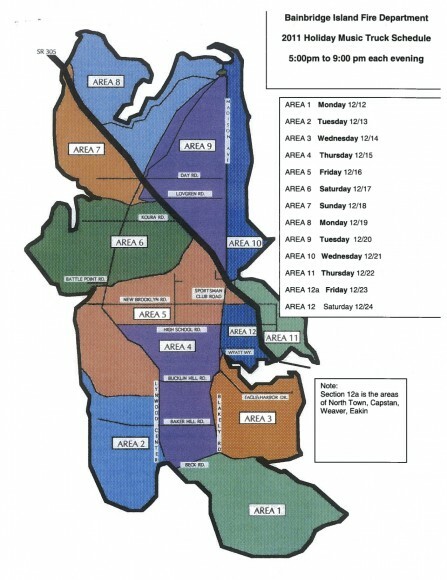 The new limits are exactly what we need here on Bainbridge Island to keep the real estate market healthy and active. At the time of this posting, FHA rates are hovering around 4% with zero points. For a great lender recommendation for your FHA loan, visit my Buying Page. The national news is reporting good news in regards to housing starts. Housing starts and new permits jumped to a 1 1/2 year high in November, the highest level since April of last year. While good news on the nation level is indeed GOOD NEWS, we here know real estate is local. 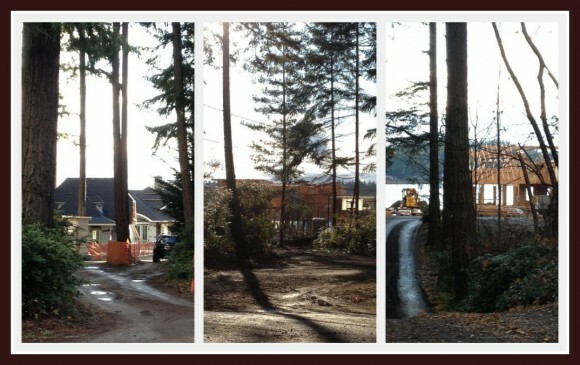 But, on Bainbridge Island, when you take a drive down Lynwood Center Road and see four waterfront homes under construction and a fifth just completed, that is GREAT NEWS on the local front. Each of the waterfront lots sold for an average of one million dollars and most involved a tear down of an old cottage and now new, quality homes are being built in their place. All good news for our island market. And December, typically a somewhat slow month in real estate, has been hopping on the island. A new $3.2 million dollar waterfront listing on the island went pending with a buyer from our office after being on the market less than three weeks. The energy and optimism is good as we wrap up a busy 2011 and gear up for a great 2012. The Bainbridge Island Musical Fire Truck making the rounds. 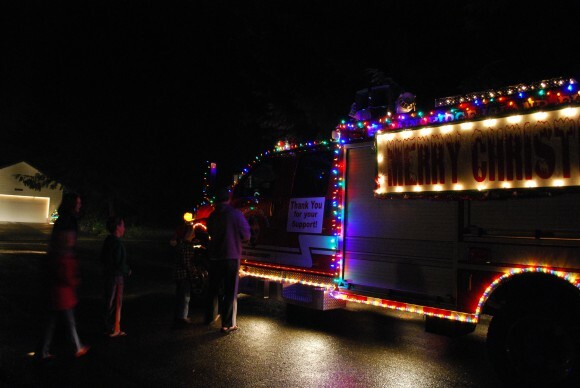 The Bainbridge Island Musical Fire Truck is getting into gear once again – it starts on December 12th and spreads musical joy around the island until Christmas Eve. Find your neighborhood on the map below (click map for larger version). Bainbridge Island Fire Truck 2011 Holiday Music Schedule - CLICK to ENLARGE. I am never ready for Christmas. Ever. Never. Okay back in the day when I was a teacher, for about three years I was on a year-round schedule that had a bread from Thanksgiving until after New Year’s. Those years I had a fighting chance, but I think I was also getting my MA at the time. Always something. Everyone is busy. But if you are making the time to escape the day to day and cut down a Christmas tree, (you should) I have not found a better resource than the Kitsap Sun’s interactive map below. Our tree is not up yet. My goal is always to get it up by mid-December and I am one of those people to leave it up until New Year’s Day. This year soccer tournaments and traveling for Thanksgiving are my excuse. It would be great if a little snow graced the green of Kitsap for the tree cutting excursion, but that remains to be seen. Pick a destination, head out and get your tree, I am sure you’ll beat me.